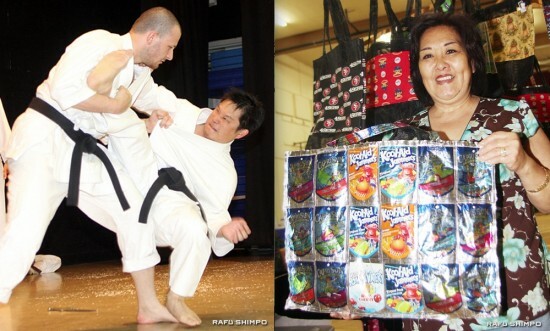 The East San Gabriel Valley Japanese Community Center in West Covina held its annual Cherry Blossom Festival on March 16. 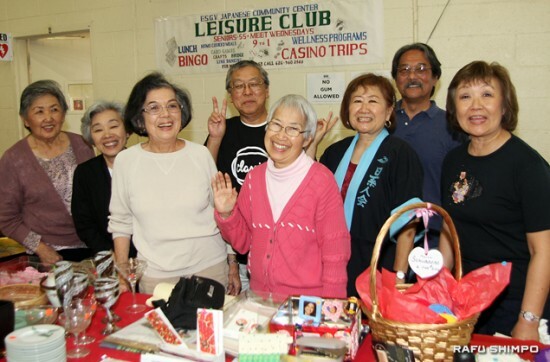 Participants included the seniors of ESGVJCC’s Leisure Club. 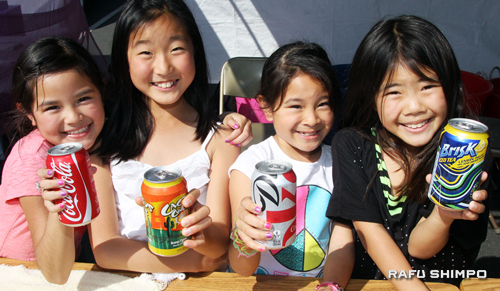 Saberettes teammates (from left) Cathy Tamashiro, Ella Kuriyama, Amy Tamashiro, and Riley Harada sold an assortment of cold drinks as a fundraiser for their team. 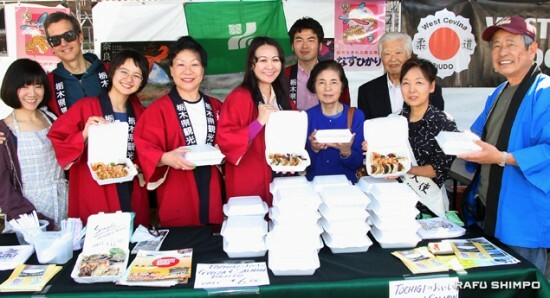 The Tochigi Kenjin Kai was among the groups represented at the food bazaar. Left: Eibukan Goju Ryu Karate Do gave an entertaining demonstration of martial arts. Right: Helena Lewis displayed her custom screen bags in the crafts section.